DigiServ Technologies cc - Knowledgebase - How do I configure my POP mail account with Outlook XP? Portal Home > Knowledgebase > E-Mail Tutorials > How do I configure my POP mail account with Outlook XP? 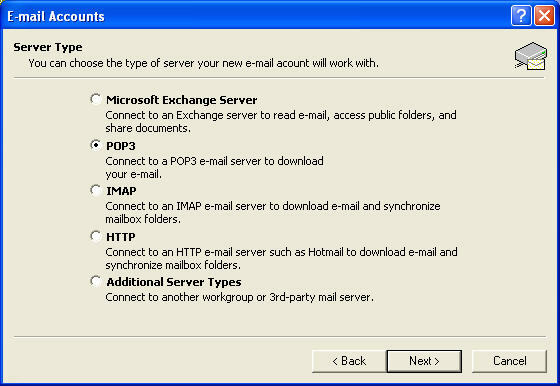 How do I configure my POP mail account with Outlook XP? 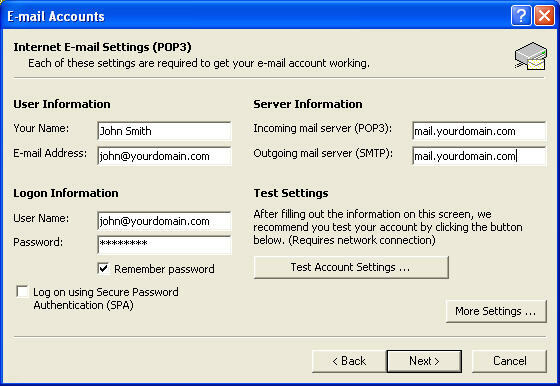 This section will teach you how to configure your POP e-mail accounts in Microsoft Outlook XP. Please be patient as there are numerous helpful screenshots that may take some time to load. First, you need to add the mail account to you control panel. 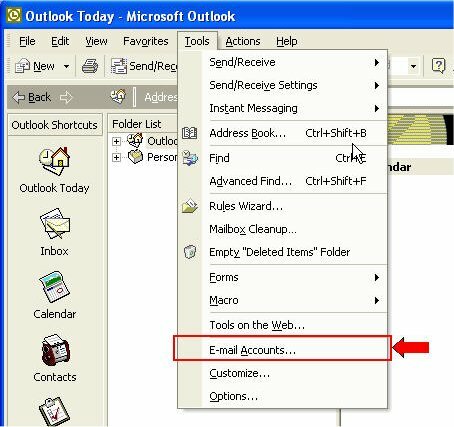 Once you have set up your mail account, you can create your account in Outlook. 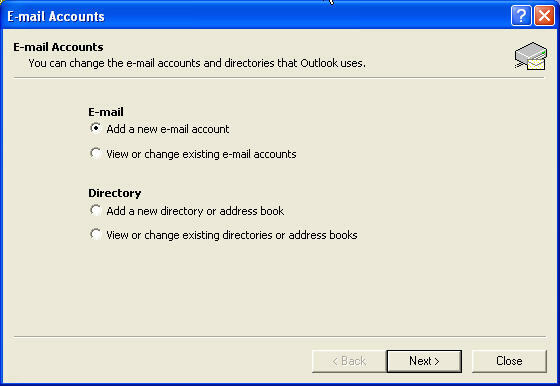 On the top menu bar of Outlook, select the Tools menu then select E-Mail Accounts from the menu. Choose "Add a new e-mail account" then click next. Choose the POP3 option and click next. Now, enter all your information. For incoming and outgoing mail server, use "mail.yourdomain.com" where yourdomain.com is your registered domain name (provided you have set it up with us). Make sure you enter a username as a full e-mail address using a mailbox you have set up through your control panel (i.e. yourname@yourdomain.com) and use the password you used when you set up the mail account. Now choose "More Settings" and click the "Outgoing Server" tab. 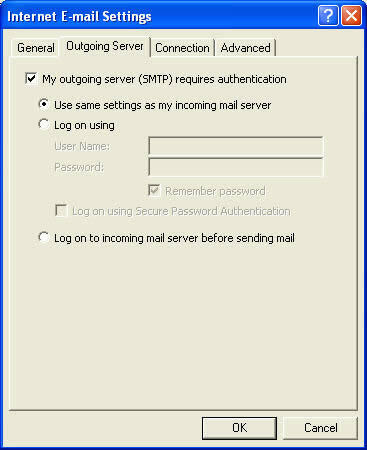 Select the checkbox next to "My outgoing (SMTP) server requires authentication" and select the option "Use same settings as my incoming mail server". Click OK, then Finish. That's all there is to it! You should now be able to start sending and receiving mail in Outlook.